It is the summer of 2010 again and this city is talking about only one thing. 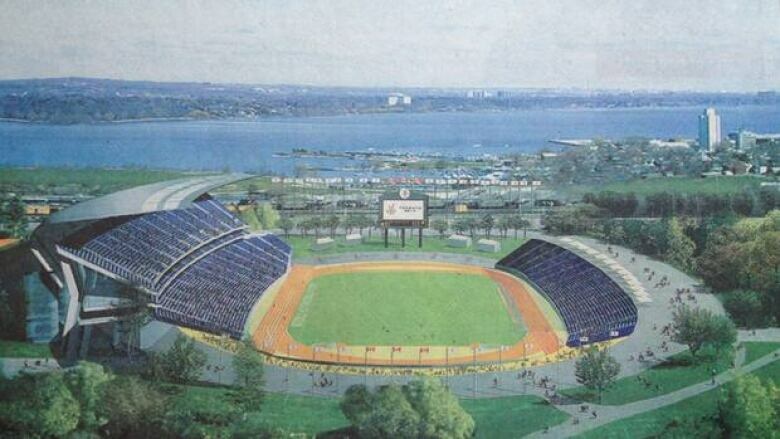 Where do we put the Pan Am stadium? An old song can take you back. So can a smell - a whiff of lavender is enough for a distant memory of grandma's garden. Here I am, pulling into the Big Bear at Wilson and Wellington. Cold drink needed on a hot day. And there it is, a sign from other times. It's transporting me to a place I don't want to go. Most of us have tried to put those painful days behind us. My view is that the Ticats bullied and threatened the town that loved them so long. Council had voted to put that stadium on the waterfront. It was an exciting plan. At first the Cats were fine with that. And then they weren't. They decided they needed to be out on a highway, so people could have a "driveway to driveway" experience. I'll stop, because you know the story. You've buried it now, and so have I. 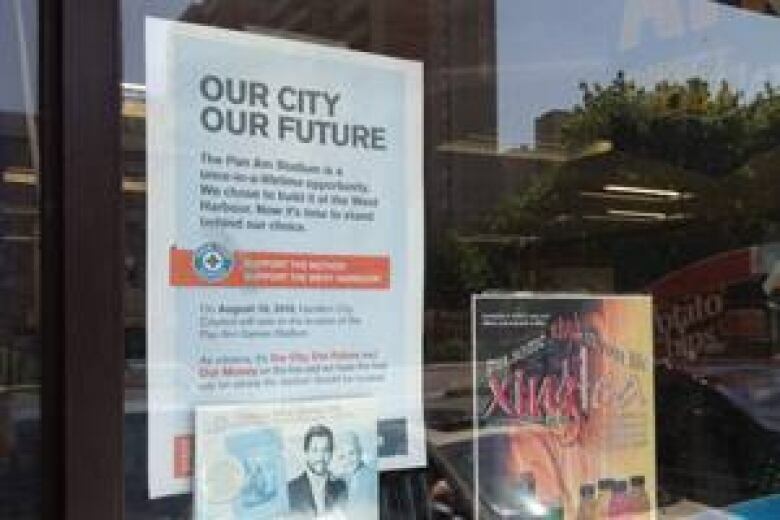 But here on the front window of Big Bear in the spring of 2012, in amongst posters for an angel-signs lecture and Xing premium-brewed tea, is a familiar blue-and-orange notice headlined Our City, Our Future. It urges council to do the right thing in 2010. It's a digital time capsule of dashed dreams. Open it if you dare.